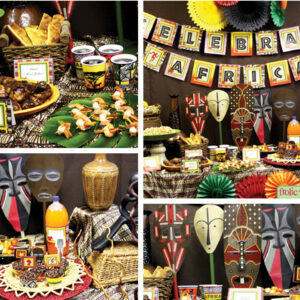 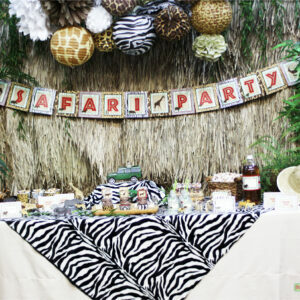 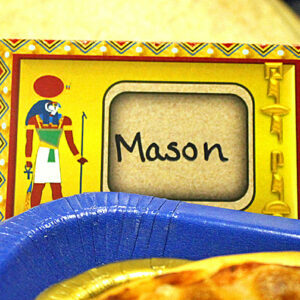 Take your party way back to the time of the pyramids and pharaohs. 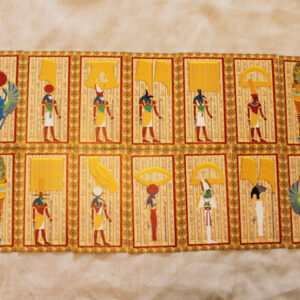 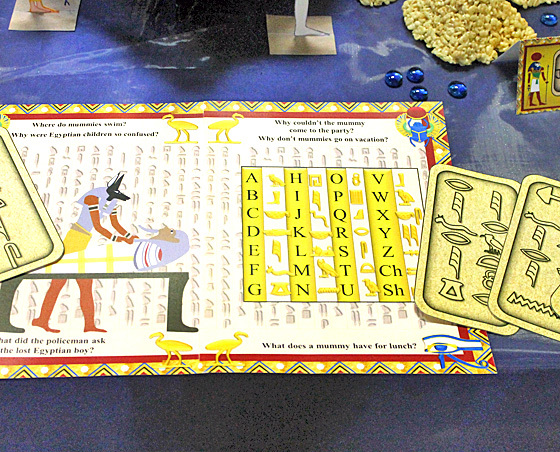 Make your Egyptian Party complete with this exciting tomb treasure hunt game. 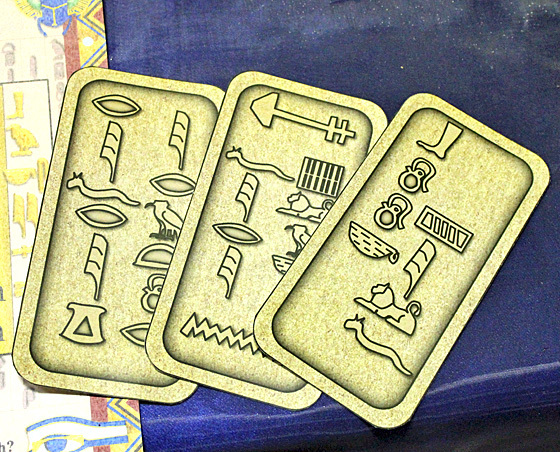 The clue cards are written in Egyptian hieroglyphics, which can be translated using the “Rosetta Stone” on the place mats. 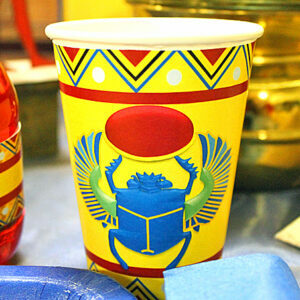 The clues are common items found in a house such as a door, the refrigerator, or the TV. 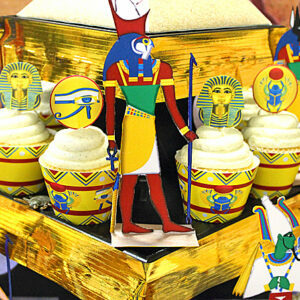 Hide a stash of treats, for example, in the sarcophagi, at the end of the hunt.